Search engine optimization tool for website ranking improvement. Is there a better alternative to SEIntelligence? 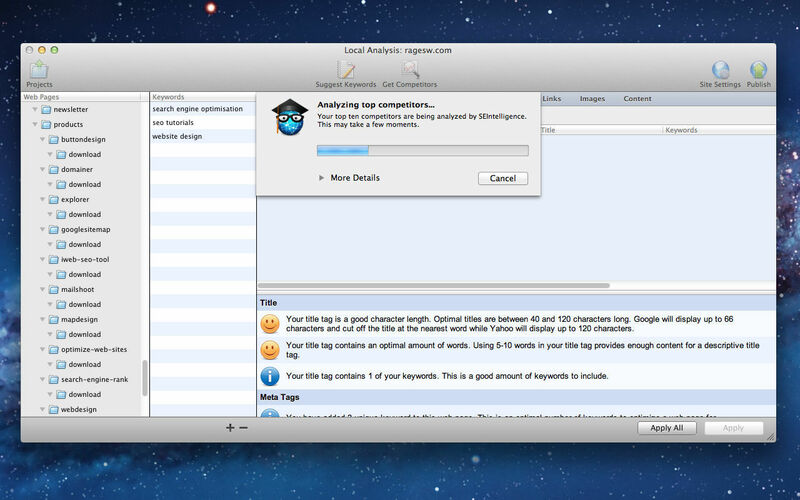 Is SEIntelligence really the best app in Internet Utilities category? Will SEIntelligence work good on macOS 10.13.4? SEIntelligence tracks a website's top competitors with the current high ranking websites in all major search engines. It then uses statistical analysis to compare a user's website with their competition, outlining exactly what aspects of a website need to be optimized in order to achieve higher search engine rankings. 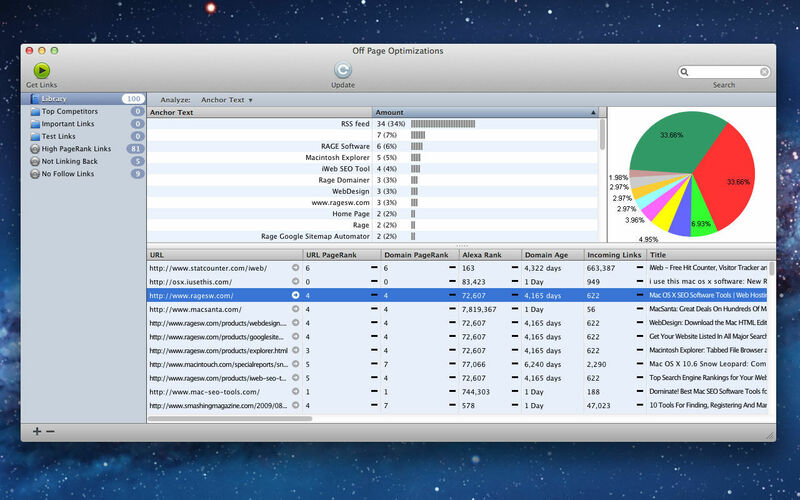 SEIntelligence also provides "Off Page Optimizations" reports, which includes analyzing incoming links from third party websites and social media marketing strategies. SEIntelligence can discover the link strategies used by a website's competitors. With this information, a website owner can easily build their link popularity, a metric used by all search engines when ranking websites. 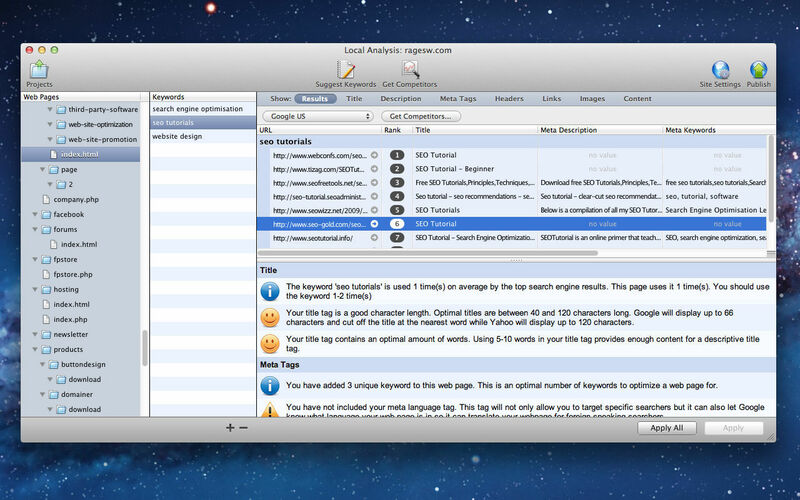 SEIntelligence is also the first professional SEO software that was built for popular Mac Web building applications including; iWeb, RapidWeaver, Sandvox, Dreamweaver and more. SEIntelligence also works with Web based site building software inclduing; WordPress, SquareSpace, Joomla and more.